The Black Writers & Artists Network was launched in 2015 by Nottingham Black Archive with the aim of raising the profile of Black Writers in Nottingham as well as documenting Black Writers from the past and the present. It is a growing haven for creative writers of African Caribbean descent to write, support, share, discuss, meet, curate events and perform. 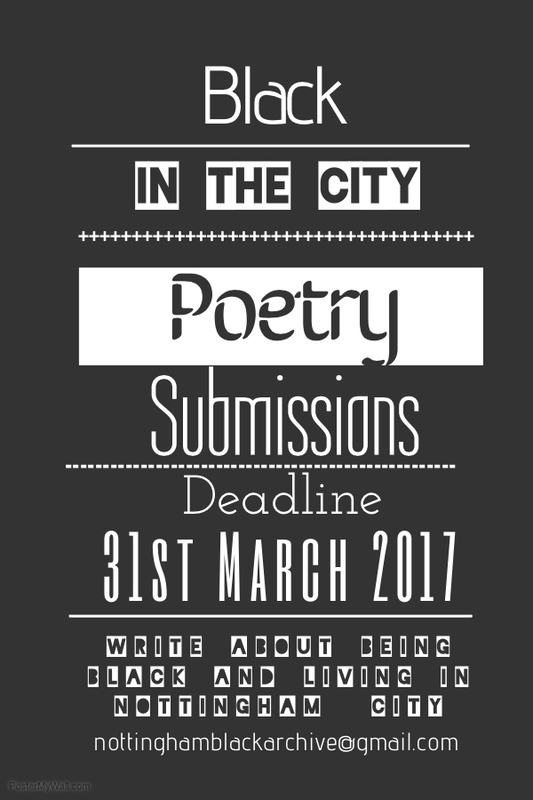 The Black Writers & Artists Network are looking for poetry that responds to the theme of being ‘Black In The City of Nottingham.’ The Network seeks work that is connected to Nottingham from writers who are native to the City or who have lived, studied or worked in Nottingham.You are encouraged to explore in as many ways as possible the various threads (social, economic, political, cultural, personal, etc.) that weave into the theme and be as experimental as you like when you respond to the idea of being ‘Black In The City‘ of Nottingham. We will consider work from African & Caribbean writers residing inside and outside the UK, who have lived, studied or worked in Nottingham, or who are native to the City. 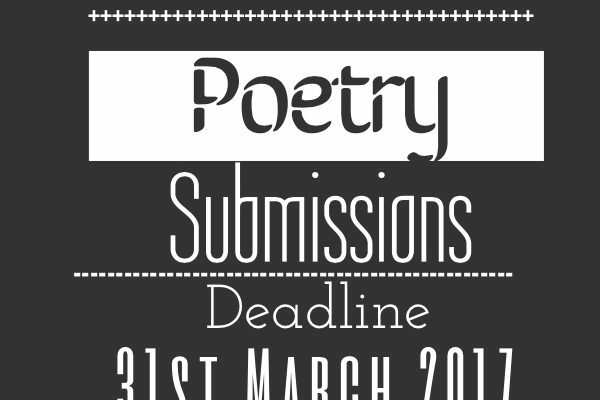 Each writer can submit up to 5 poems. We only accept digital submissions, no postal submissions please. Submissions to be sent as an attachment, Word.doc or Word.docx as one file, but each poem to be on a separate page. Poems to be typed in 12pt Arial, double spaced and no longer than 40 lines. Please ensure the title of the poem is written in the header of the page. How you are linked to the City of Nottingham, e.g resident, student, etc. If you do not receive an email to inform you that your submission has been shortlisted for possible inclusion by the end of April please assume that you have not been successful. Please be aware that we will not be able to give individual feedback. The deciding editors decision is final. Copyright remains with the authors but Nottingham Black Archive reserves the right to print shortlisted poems in the Black In The City Anthology.